Really great server, a lot of unique things in here, and the quest system us pretty different from other servers. Enjoyable playerbase and staff members. I really love the community on this server!! Everyone has always been very welcoming and full of charity. Every question I have asked has been answered with haste as well!!! 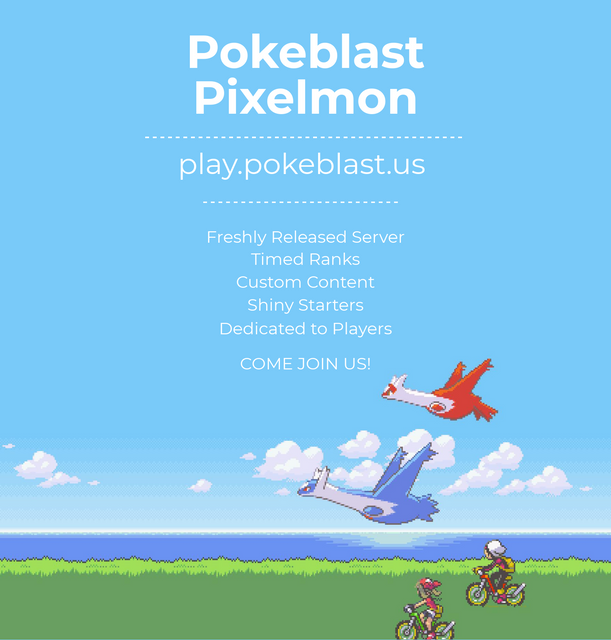 If you love minecraft and pokemon, pokeblast is for you!!! The server is great. Everyone is nice and people often communicate a lot. The different towns within the server all look good, including the spawn.